She'd always ask how you were doing before anything else. Supportive, nurturing, and caring, I considered her the mother-hen of our store. Her contributions were quite noticeable so I'm not surprised she's being sent elsewhere. One of our managers at the crafts store is being transferred to a different store to help boost the department she specializes in. And I found out she was leaving just three days ago...with today being her last day. This marks the third manager we've lost in a four-month period. I guess nothing stays the same in retail. It'll be challenging for her but I KNOW she'll whip the other store into tip-top shape. She's a wonderful lady. Professional and driven, always adding a touch of class to the work environment. I'd often ask her for advice on life and love and she's the one I'd always vent to. What will I do with her gone? When my shift was over this afternoon, I hugged her goodbye (twice) and told her we'd keep in touch. Going to work will be a bit harder and sadder now. I will miss her. Terribly. It's good that some things change, but there are others we'd like to keep always as they are. It's too bad Sujin had to leave. Hang on to the good memories, and the scarves. She clearly thinks the same of you. Rejoice in her friendship and decide to stay in touch. May each of your futures serve to enrich one another as they unfold before you. I wish her well too. I'll think of Sujin every time I wear the scarf she made me! I couldn't have said it better myself, Randy! 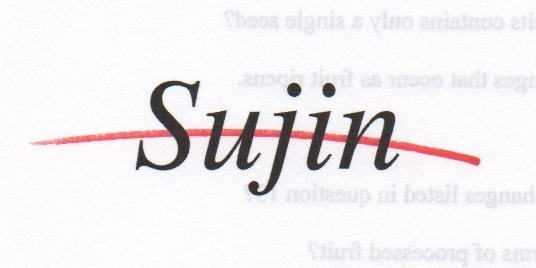 Selfless people always stand out don't they, Sujin sounds like one of those. This week at work was the last one for Ian, a guy who I have worked with and around for the last couple years, and I am sure gonna miss him. He is one of those people who always has a smile and kind word. We hugged too and that was so awesome. People like that help us get through the hardships at work.